Actually, they were two, Alex and Ila, and thanks to their wonderful initiative, 2009 has been declared the International Year of the Shark. Ever since having become a Member, we've been working on a concept enabling us to create a positive buzz for Sharks all across Fiji. We are lucky insofar that Shark Conservation ties in beautifully with Fijian Culture as for many indigenous Fijians, Sharks are sacred and killing them is Taboo. As an example, many of our feeders hail from Beqa Island and are thus protected by the Shark God Dakuwaqa. 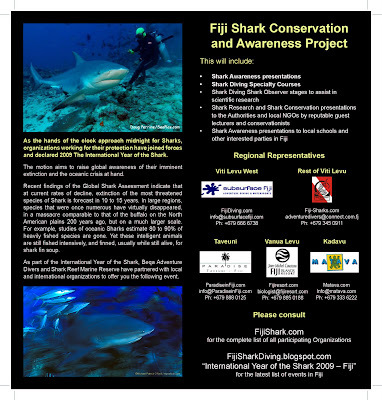 We call it the Fiji Shark Conservation and Awareness Project and it hinges on a Shark Awareness Presentation that we are currently rolling out to the participating Dive Shops. As you can see, the presentation is kind of "open-ended", allowing for a short 15-20 minute overview or instead, for a fully fledged and much more detailed lecture in Shark Biology and Shark Conservation. Giving the short presentation to clients is merely a minimum requirement for participation and we are sure that the individual Dive Shops will find ample ways to expand on the concept and develop other Shark-related initiatives of their own. At the same time, we plan to reach out to the schools via the Fiji Ministry of Education. This is obviously very much work in progress but after having secured the support of two key Government Departments, Fisheries and Environment, and of several Dive Shops that have agreed to act as Regional Representatives, we're ready to go! Official Start: today January 19! Matava has very generously set up a great website and we've run this very first little local marketing brochure (click for details) in order to get things started. 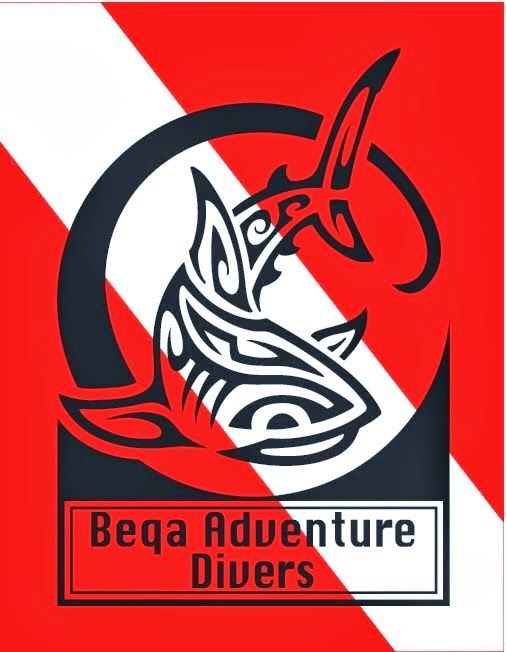 The next phase will be a drive for membership and as the different categories (Dive Shops, Resorts, NGOs etc) get populated, we anticipate many more events and initiatives. On our side, we have already secured several guest lecturers and are working on several Fiji-wide initiatives aimed at mobilizing and educating the public at large. 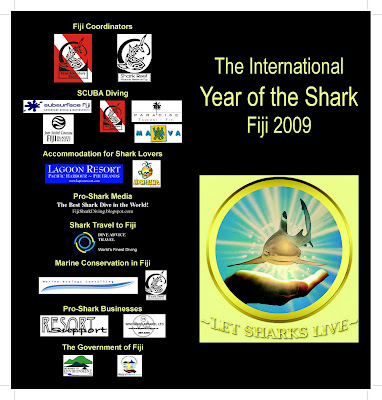 Feedback so far has been overwhelming and although this is very much in its initial stages, we are very confident that 2009 will be a good year for Shark Conservation in Fiji! To all involved: Vinaka Vakalevu! "Never attribute to Malice that which can be adequately explained by Stupidity". Or could it be Einstein? As in "Only two things are infinite, the Universe and human Stupidity, and I'm not sure about the former."? 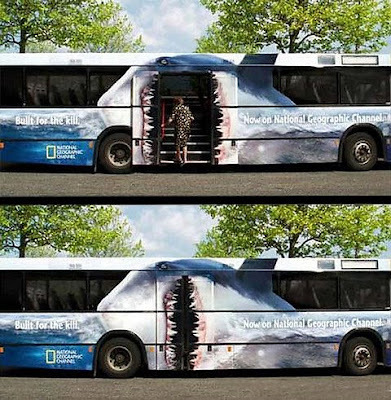 As usual, Hat-Tip to Shark Divers! Wolfgang has just posted his personal take on that. We've never met but I do like and respect the man. 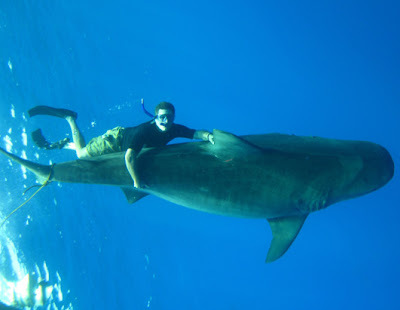 He's obviously intelligent and very experienced and his love for Sharks knows no boundaries. I'm sure that he would never, ever do anything that would put Sharks in harm's way or somehow tarnish their reputation. "From the Heart", I fully agree with every word he says - the more as every single one of our feeders will always feel compelled to give a little affectionate pat to any Shark coming in for a snack. This may look stupid in view of the fact that Sharks are not likely to take it the way it was meant - but as Wolf correctly remarks, it does clearly habituate them to our presence. In fact, most of our old-timers hardly ever deploy their nictitating membranes and when they do, we've learned to be especially cautious. Check out the pic and you'll notice that Olga is obviously equally relaxed. And yet, upon coming across some images of a dive trip to Tiger Beach, I felt compelled to raise my voice in alarm. What ensued was an interesting conversation thread and I'm particularly happy that we all managed to remain mutually respectful and polite, a rare feat in the ever passionate and opinionated world of Shark aficionados. That conversation has apparently continued "behind the scenes", as witnessed by Wolf's desire to set the record straight. It certainly has continued at this end, both in terms of e-mails we have received but also, in terms of internal discussions about our own procedures. Personally, it's a case of Zwei Herzen, ach, schlagen in meiner Brust. You may have gathered that we at BAD Love Sharks, with a Passion! We name them, we research them, we protect them, we keep track of their individual lives and are overjoyed when our old friends turn up after their yearly walkabout, like right now - and yes, we also pet them! You may have also noticed that although we interact with the biggest, and most dangerous coastal species, we don't define and market ourselves in spectacular adjectives like "ultimate" (as in "terminal"? Yes, I'm being facetious), "extreme" and the like. 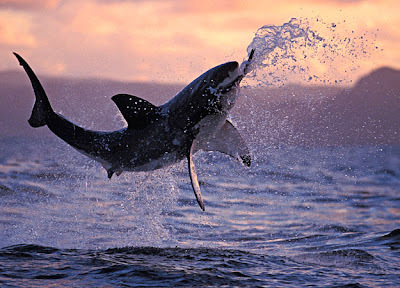 Our aim is not to sell some death-defying "adventure", but to showcase our Sharks to our Clients and to have them come away with a new, personal appreciation for their beauty, grace and mellow disposition - whilst contributing to their protection in the process. From that point of view alone, we're as "Shark-hugging" as one can possibly get! And yet, we couldn't be more controlled and have more stringent and inflexible procedures! I've blogged extensively about it before and won't bore you with more of the same. Essentially, it's about commercial versus private Shark diving. Commercial Shark diving means stacking the cards in one's favor and never forgetting the awesome power of the animals we're dealing with. It also has to do with our responsibility towards our Clients and the fact that they, and not the Sharks, can be highly unpredictable! In that regard, I'm grateful that Wolf has generously posted a caveat not to try and emulate what he does. Thank you! Is what he does "disrespectful"? That's really a difficult one. We've been accused of "demeaning" our Sharks by conditioning them to participate in what some rightfully call a "Circus act". Our standard answer is to point to our Conservation efforts and also, to the fact that the alternative is not a "happy life" but to end up as Shark fin soup. We also feel that we need to do so for safety reasons, as the such conditioned animals are certainly easier to handle. But I realize that what we do will always remain controversial. There is really no need for them - but knowing who he is and having read his post, he means only the best and causes no harm whatsoever, certainly not to the animals. There are scores of Fish- and Shark-touchers, foremost Valerie who'll pet anything from Nudis, Morays and Dugongs all the way to Great Whites! People like them are instrumental in changing perceptions and are to be commended for doing so. In brief, Wolf, go for it! As I said before, I sometimes bemoan the fact that having crossed the fence, I won't be able to join you! Would I however strongly object if boatloads of divers started doing the same? Most certainly, experience or no experience! In the end, the Ocean is no Zoo and direct interactions like petting and feeding are generally to be discouraged as they impact on the animals, most likely in a negative way. Moreover, when it comes to predatory Sharks, one must never forget that they are potentially lethal and that every direct interaction carries the risk of accidents - certainly bad for the person involved but devastating for the image of Sharks and our efforts to get them protected. 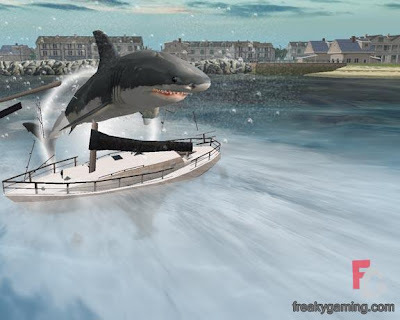 Back to Shark Protection - judging from the projects I know about, 2009 is going to be an awesome year! The Sharks are pushing back. Or so it seems if one has a look at the venerable Shark pages of the Underwater Times. On top of a recent fatal attack, it appears that more and more Sharks are venturing to the Ozzie beaches, prompting mass evacuations, and scaring divers, kayakers (video!) and fishermen. 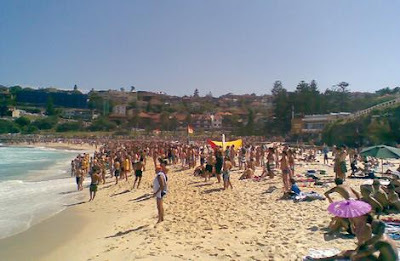 Some scientists attribute the apparent increase in numbers to successful Shark protection measures and warn of an increased risk of attacks as a consequence. Maybe this is partly correct, at least when it comes to Great Whites - but it is still a very unfortunate statement as it may well hinder Shark Conservation going forward. Others beg to differ citing natural life cycles and flaws in the collection of data. Naturally, we tend to side with the latter opinion, the more as the new Shark Count seems to be lacking any baseline data. Trends will only be visible in several years and until then, any interpretation cannot be more than educated guess. Also, is anybody analyzing the correlation to the number of aquatic recreationists? 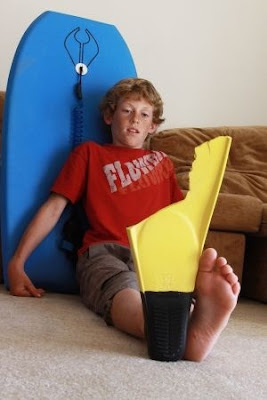 Amid all the brouhaha, the other half of Bayden's fin has been recovered from Blueys Beach. A bit of gaffer tape and he should be able to take it back out again! Check out this feisty lady! She turned up one month ago and quickly became the darling of a Spanish group we were hosting. After a collective pow-wow, they asked us to name her "Maite". Being my usual nosy self, I went digging and discovered that it is a name of Basque origin and means "Beloved". Great choice! The more as in my adopted native Country Switzerland, the very same word means "Girl"! Maite has become a regular fixture on The Shark Dive where she is notable for her impressive size but also, for her mellow, and indeed lovely disposition. 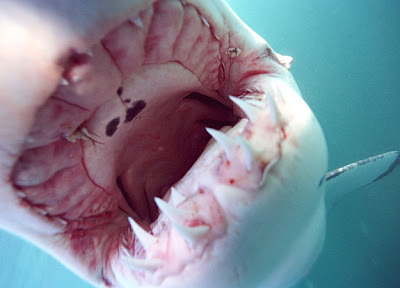 Sharks have weak bites, say scientists. And who gives a damn, says I.
I've ranted about it before, it just pisses me off to see rare and valuable scientific resources, and brainpower, squandered on such trivia! Does it get any more useless, wasteful and stupid than this? Is this going to save a single Shark from Extinction? Because, and I shall never tire to repeat it, in 2009, the only possible justification for any Biological Research is Conservation. Funding is extremely scarce and hard to come by and just cannot be squandered on such frivolous and unnecessary projects, full stop! Plus, I cannot even begin to try and fathom the ethics of "knocking out" big and threatened Sharks to then electronically stimulate their jaws - for Nothing! Guys, for crying out loud!!! What would you say if somebody traveled to China and did the same thing to an effing Panda??? Huh? Can't beat an Ozzie when it comes to keeping one's cool! Mind you, with everything out there poised to kill you (and I mean it! ), it might just come with the territory! And yet, the man has managed to surprise me. According to this astonishing piece, POTUS is establishing the World's largest Marine Protected Area in the Pacific. As usual, I really know very little about the details but it looks like for once, he's managed to withstand both the Vice President and the Fishing Lobby, that in itself a more than remarkable feat. Time to give Honor to Whom Honor is due - reluctantly! 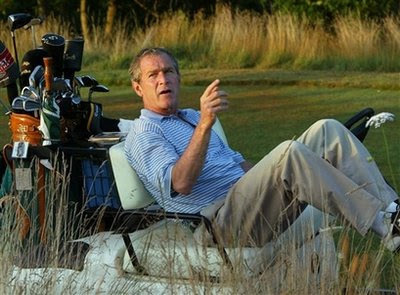 Speaking of which, I feel that we must also thank him for his legacy of Bushisms. All were stupid, most were funny, some were even prophetic. Like this one, from Oct 4, 2001: "There's no doubt in my mind, not one doubt in my mind, that we will fail". I just came across this fabulous portfolio. Colin Gans hails from Aotearoa where he's a founding member of SEAFANZ, New Zealand's premier digital underwater photographic society. 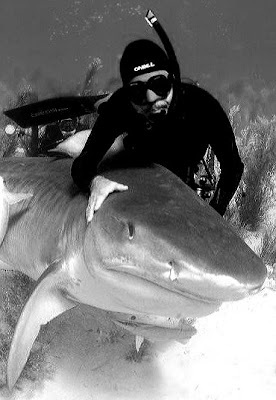 I particularly like his Fiji Shark pics because contrary to many others, he's not gone super-wide. As a result and instead of being all teeth and head, the images very much depict the animals as we know them: beautiful, majestic and peaceful. 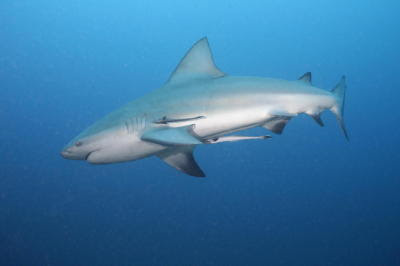 The pic above (click to fully enjoy) is of a very pregnant "Granma", the largest of our Bull Sharks. Ever heard of Chumphon Pinnacle? Me neither, until a very pink website announced that it was Thailand's new hotspot for Bull Sharks. I must admit that at first glance, I was rather skeptical. The first pics showed smallish Sharks with a very distinct dark rim to their tail fin, something that I had never seen in Fiji. Bull Sharks have a closely allied species, the Java or Pigeye Shark (Carcharhinus amboinensis) and my gut feeling was that it could be that species, which would have been a great find in its own right. As more and more images began populating the site, I however started seeing Sharks that were very much the same as our own sub-adults. Must be that the "rimmed" Sharks were either smaller than even our smallest animals, or that they were displaying some typical Thai color pattern, not at all impossible per se. We know that from Grey Reefies where local populations have a white rim on the first dorsal fin, prompting some splitters to try and describe them as an own species (which they are not). Having alerted "our" expert Juerg, he confirms the original diagnosis. Kudos to DJL (yes: Davy Jones' Locker, of all things...) on Koh Tao for their find and correct identification of the Sharks. By the way: that would be just down the road from Ko Pha Ngan's Full Moon Party and just around the corner from The Beach - epic! As our regular readers know, I'm a big fan of the incomparable SeaWay Blog. 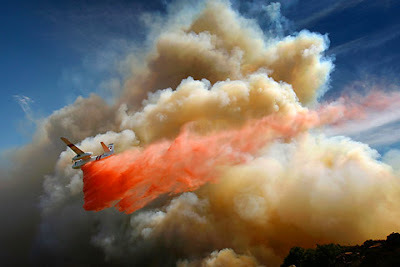 Once again, Guido has managed to unearth a batch of stunning pictures of which he has posted a water-related selection. Should you want to savor the full scope of last year's best images -and you should!- here's the link to The Big Picture, a Blog by the Boston Globe. As always: absolutely and utterly amazing! Nah, the other way round! What is now a colloquialism actually stems from this scene where the desperate Producers of Happy Days had the Fonz jump over a Shark pen. In Speedos and leather jacket! How more seventies can one get! Well, we knew that didn't we? The more interesting angle of this short article is that it focuses on Predator/Prey interaction and co-adaptation. Well, we knew that as well but still, it's nice to see it spelled out with respect to Sharks. Must be the South African track record of observing and protecting terrestrial wildlife that has led them to start asking the right questions. As in terrestrial Conservation, Shark Conservation will not succeed unless we gather a full picture of the interactions of the animals with their Environment, of which Predation is obviously a key component. It's a fascinating, and essential topic and I invite you to click the links and take it from there.